My Mom is a pretty special lady. Not only did she give birth to the “awesomeness” that is me (I will let you make your own judgments about that), she is a courageous woman. In March of 2010, we said goodbye to my Dad when he died at the age of 61. That was hard enough for Mom, but just a few months later, she was diagnosed with Breast Cancer. Needless to say, it was a tough year in the Carson Family. She didn’t let her circumstances beat her down though. With God’s help, she rose above the pain and started living again. In the spring of 2012, my Mom decided to take up running. She had never run before. She had been to exercise classes and done videos, but running was something completely new. 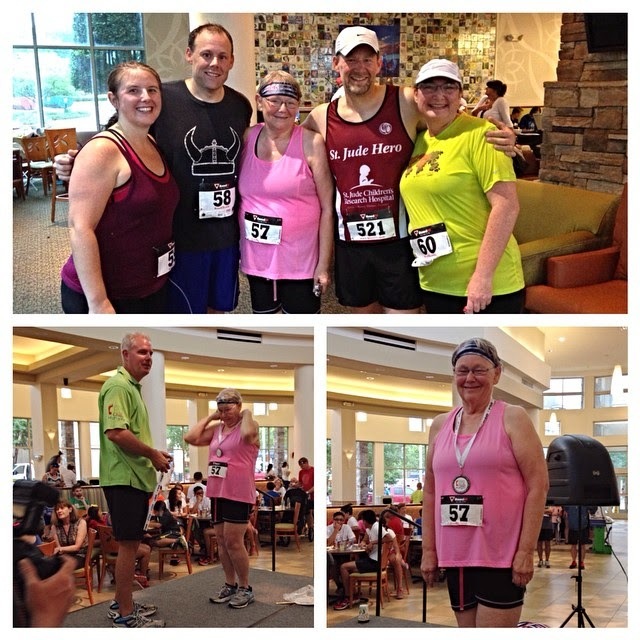 And, in just a short few months, she ran the Race for the Cure 5K in Northwest Arkansas. 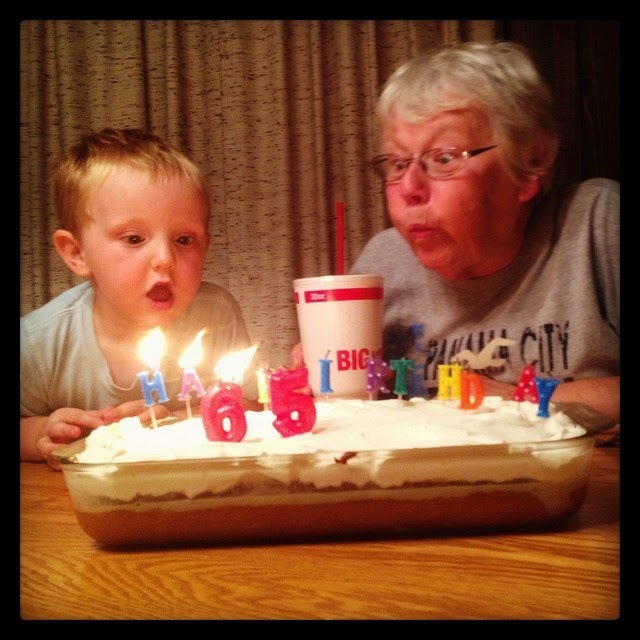 She ran the 2013 Bentonville Running Festival 5K and then the 2013 Race for the Cure 5K again. Then she decided to aim for a bigger goal… A 10K. 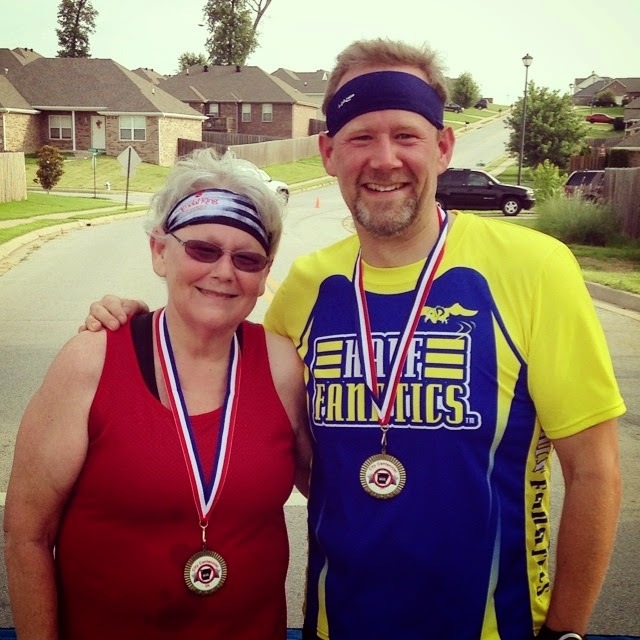 Together, my wife and my mom began training for the River Valley Run 10K in Fort Smith. They even did another 5K as they led up to the big event. On November 9th at the age of 64, my Mom ran her very first 10K. However, she isn’t done. She is even in the process of planning another 10K. This weekend, we are traveling to Cotter, Arkansas to run again. She will be running the 5k race at the White River Marathon for Kenya event while I run the Full Marathon. She just keeps running. God places people in our lives that are special for the inspiration that they give to us. Mom is one of those people for me. She never quits. She never gives up. She just keeps going. Now, God may not have given you a mom as cool as mine, but I’m sure she is special in her own right. Honor your mother and God will bless. Did I mention that she keeps winning medals?